Social media platforms have transformed how customers and brands connect and engage. In fact, it is considered one of the most disruptive technologies of the 21st century. Its ability to present customer sentiment and opinion as simple, measurable data has made social media a highly effective business development tool. Dispassionate Data: The informal environments of social platforms encourage people to use colloquial and personal elements in their language. And pretty often, it’s beyond the understanding of automated sentiment analysis programs. This makes it hard for them interpret the context and sentiment with which the brand is being discussed. The Numbers Don’t Add Up: The number of likes on a brand’s page don’t accurately reflect actual engagement or conversions. But since they stand out in social media profiles, most analytics campaigns end up as an effort to analyse and increase the number of page likes. This often results in a lack of tangible return on investment, even for successful campaigns. The Incomplete Picture: The contrasts between people within social media ecosystems are just as notable as they are out in the world. While some have an active voice and interact more proactively, most are just browsing through. Levels of engagement can also vary with demographics and campaigns. While you might hear more vocal opinions from the younger audience, the larger older demographic might choose to remain silent. Data Relevance & Quality: The quality of online data being analysed is always a concern among enterprises. Social media platforms are littered with fake and duplicate profiles. Adding to the problem are the access restrictions on most profiles that make it difficult to verify their validity. Also, social channels provide very little or inaccurate information on user journey. The truth is that the path from social media analytics to conversion is often complicated and without patterns. This makes it hard for businesses to find a relevant use for the gathered analytics data and pinpoint factors that cause users to connect with the brand. In spite of all this, social media remains the most effective means for brands to engage directly with their end customers, understand them, and what they want. Efficiently leveraged, it can be a powerful tool for brands to gather data that can be used to build insights for long term business development. If you are an enterprise in the UAE trying to gather actionable, business-oriented data from your various social media channels, we can help you out. 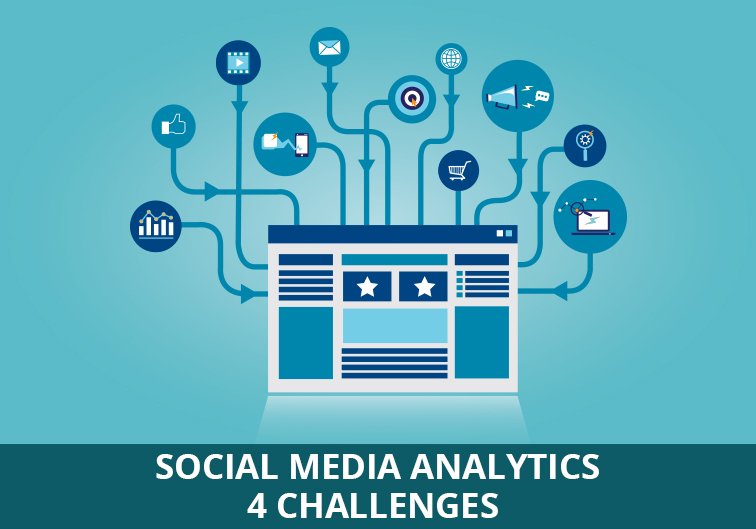 We have an exceptional analytics team that can help you implement comprehensive social media monitoring programs. We partner with online dashboard providers like Klipfolio to offer you your most relevant data and present them over user-friendly and insightful interfaces, customized and restricted by user access and requirements. So get in touch with us right away.